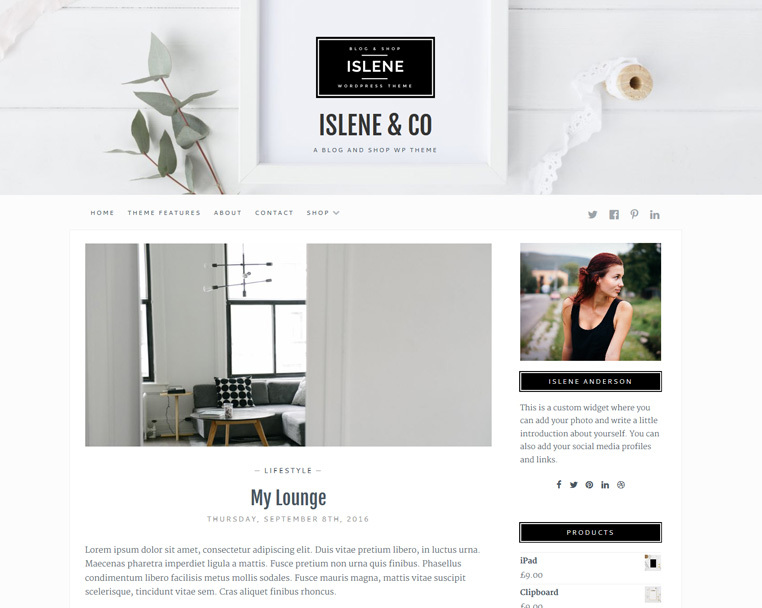 Islene is a beautiful blogging theme which works with WooCommerce so you can also use it to sell your products online. It was designed with an elegant and feminine style, lots of whitespace and nice typography. 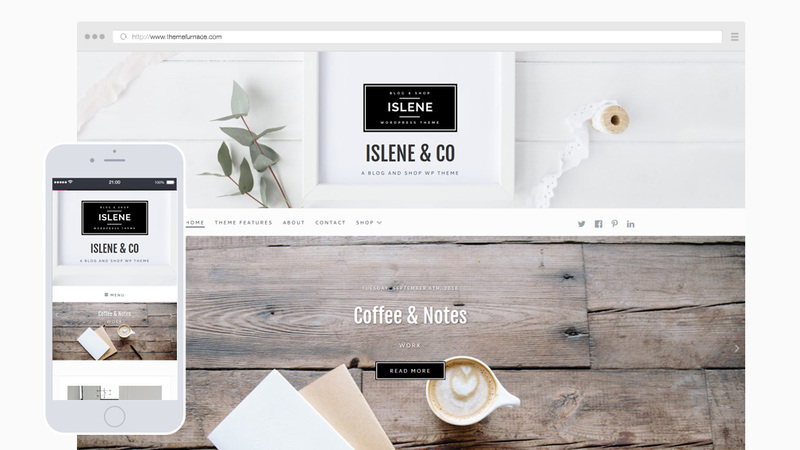 It has the option to include a header image, upload a custom logo and 2 post sliders to choose from – a large post slider or smaller post carousel. You can use any combination of these or hide them using the Customizer and also pick which category of posts to show and how many items you would like in each one. Islene includes a social media menu and also a custom author widget where you can add your photo and more social media profile links. 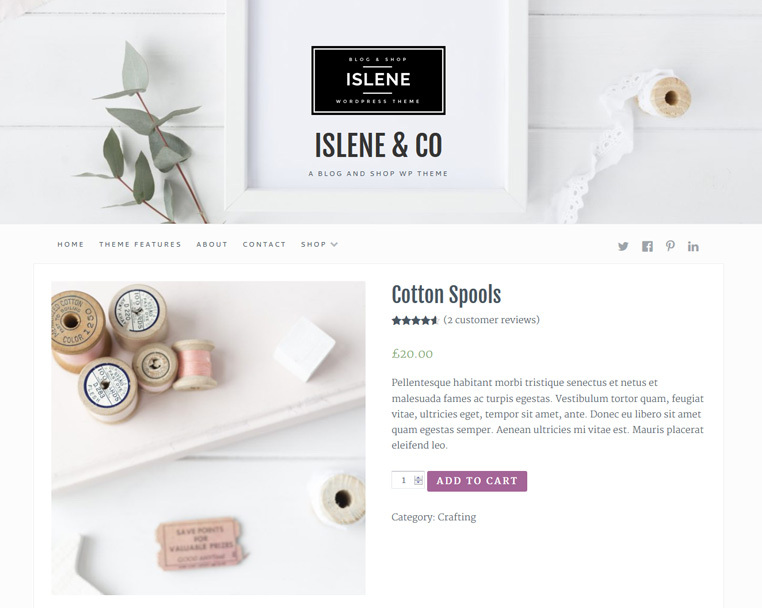 Islene works alongside WooCommerce so you can sell your products online. 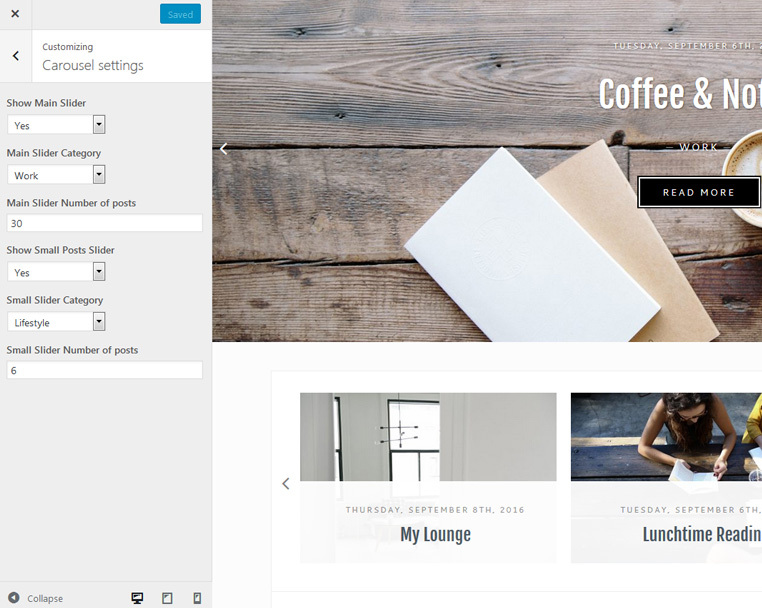 Islene has a beautiful blog layout and elegant sidebar with a custom author widget. Use the customizer to change slider settings, choose categories or hide them completely.